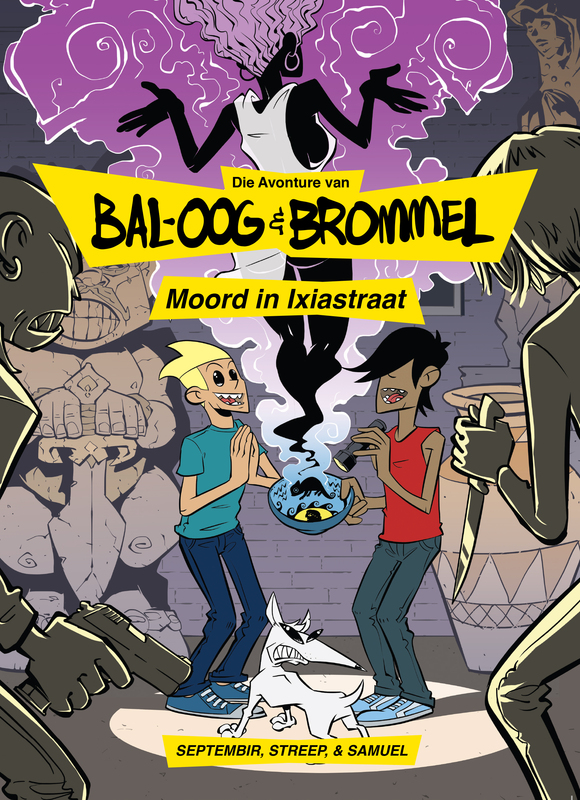 Based on the Graphic Novel "Bal-Oog en Brommel: Moord In Ixiastraat", this hilarious detective story is told in comic book style that will take you on an exciting roller-coaster journey with the lovable duo of Bal-Oog and Brommel. Who murdered Kobus? What lies behind the murder? 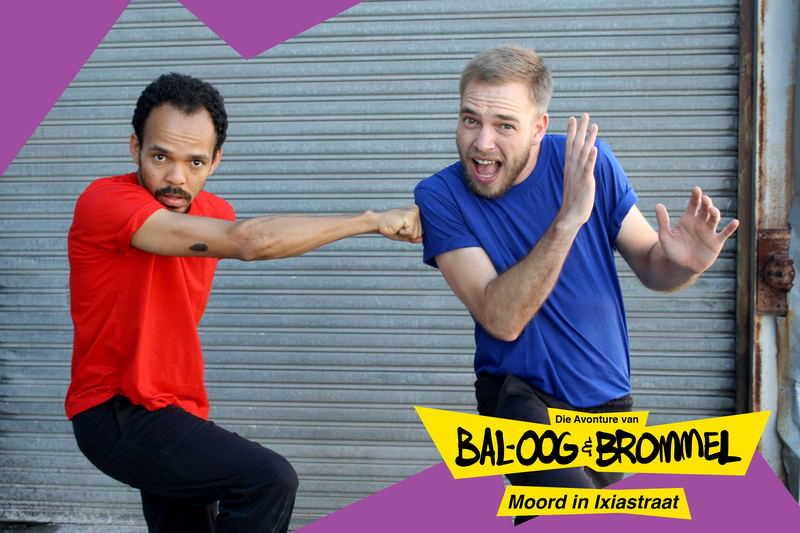 Bal-Oog and Brommel decide to investigate. 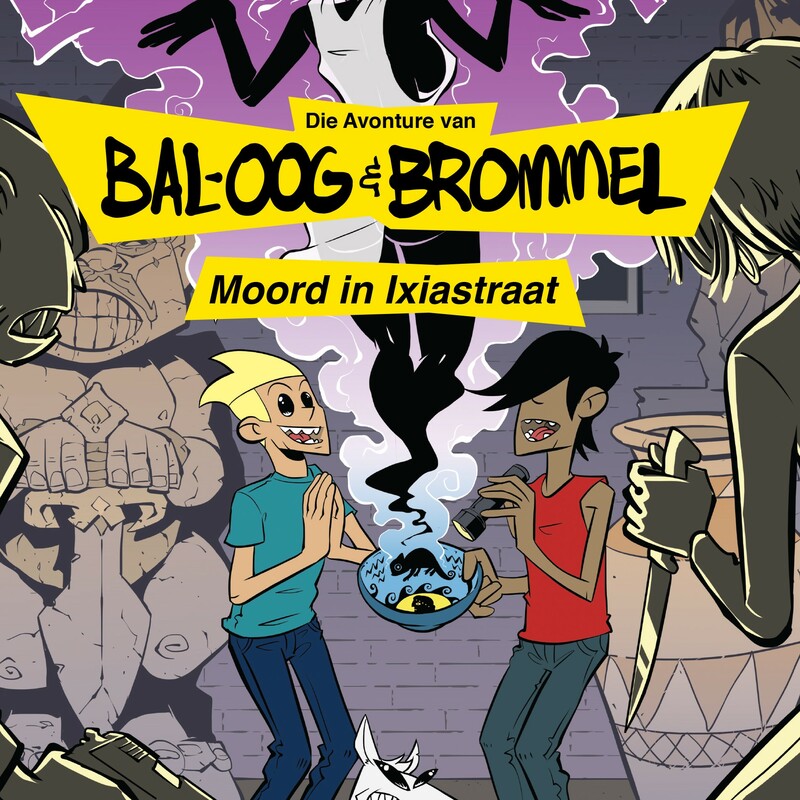 When Boltjie – Bal-Oog's dog – gets a sniff of something rotten, Bal-Oog and Brommel suddenly find themselves on an adventure filled with laughs and thrills – which leads them into the dark underworld of Milnerton. This show has received standing ovations across the country, touring the Woordfees (Stellenbosch), KKNK (Oudtshoorn), Alexander Bar and the Vrystaat se Kunstefees (Free State). They will be return from Aardklop (Pochefstroom) the day before they open in Cape Town at the Alexander Bar for a second successful run. 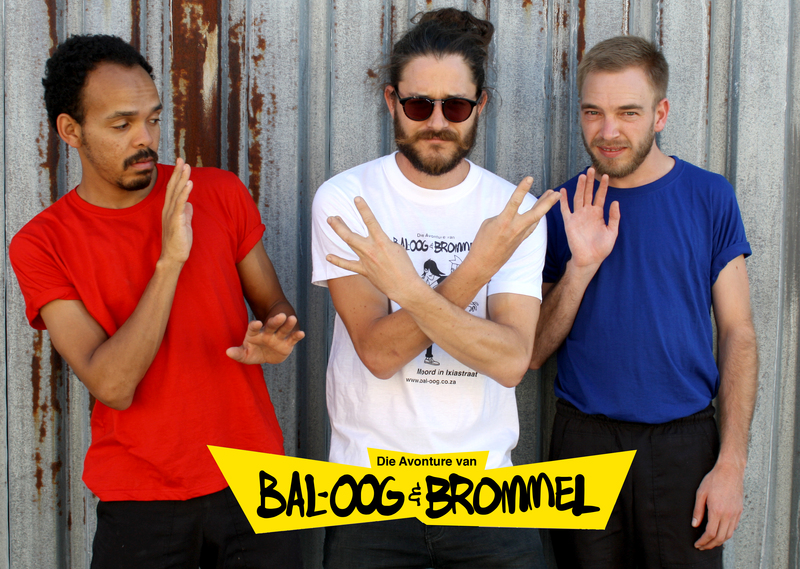 "The result (Bal-Oog en Brommel as Theatre show) is incredible and the fact that it is in Afrikaans isn't at all a barrier for non-first-language speakers." - Mandy Watson, Brainwavez. "The result is incredible and the fact that it is in Afrikaans isn't at all a barrier for non-first-language speakers." "Seek it out as it appears in small theatres and at arts festivals across the country - it's definitely a play worth seeing."